ISLAMABAD: An awareness seminar was held at Sheikh Zayed International Academy H-8/4 Islamabad. It was in collaboration with ICT police and Sheikh Zayed International Academy. According to the details, in continuation of ongoing drive against drugs, a seminar was held at Sheikh Zayed International Academy Islamabad. It was attended by Inspector General of Police Muhammad Aamir Zulfiqar khan & Ambassador of UAE, His Excellency HAMAD-AL-ZAABI. Besides that it was attended by SSP/Ops Waqar-Ud Din Syed, SSP Traffic Farrukh Rasheed, AIG/Ops Dr.Ghias Gul, AIG/special branch Mujahid Akbar, SP City Saad Aziz, SP/IA Sumaira Azam, SP rural Umer khan respectively. The Primary focus of the seminar was to sensitize the students, parents & school administrations about drug usage and its harmful effects. This seminar was a clear manifestation of existing brotherly relationship between UAE & Pakistan. The ambassador of UAE appreciated initiatives of IGP in making Islamabad a drug-free city. He was expressing gratitude for this symbolic seminar & attached highest significance to this relationship of fraternity. He further confirmed his full support in further extending this relationship into holding more workshops & training sessions of Islamabad Police. 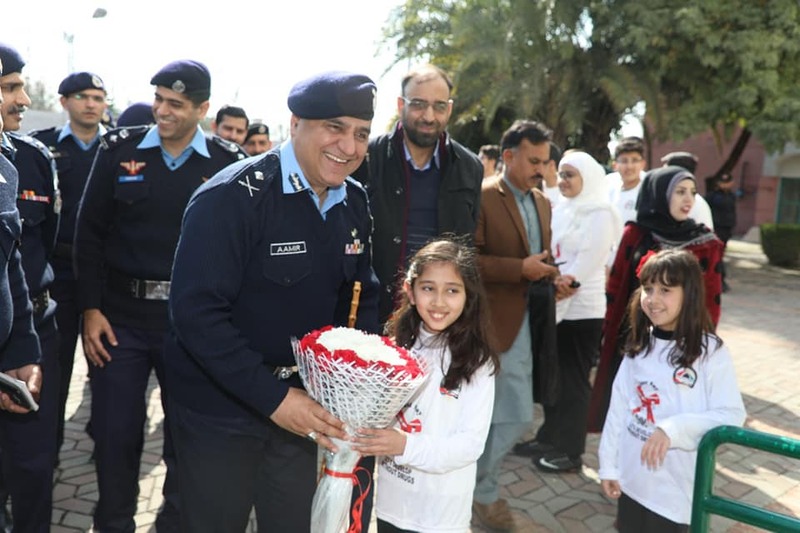 The IGP Muhammad Zulfiqar khan expressed his deepest gratitude to the Ambassador of UAE & Ms. Wafa Abdul Ghafar the principal of Sheikh Zayed International Academy. The IGP while speaking to the audience especially the children said,’’ You are ethos of our eyes’’. The IGP while narrating the importance of Anti-drug drive inculcated in their minds that drugs addiction is highly detrimental. Once addicted due to peer pressure or through friends can drive you to destruction. It completely disrupts not only your own lives but also affects the whole family fabric. The IGP maintained that in his first meeting with Prime Minister of Pakistan, he was given a task to eradicate drugs & land-mafia in Islamabad. He further highlighted the fact, being IGP he is the custodian of yours lives and properties. The IGP particularly appreciated the presentation of students & question-answer interactive session. He further resolved that this crackdown would continue till meeting its desired results. The IGP informed the audience that four rehabilitation centers for drug addicts will be opened by the government of Pakistan.